This workshop will explore ways to approach Shakespeare’s text playfully and actively. How can clues in the text inspire our choices as actors? We’ll play with rhythm, punctuation, spelling, and more. We will work on our feet, and will focus on action and active listening. This will be a fun workshop, exploring how to get Shakespeare in our bodies and bring the text to life! Registration is required. Maximum 16 participants. This workshop is for professional actors, acting students, and theatre practitioners with a strong background in performance. 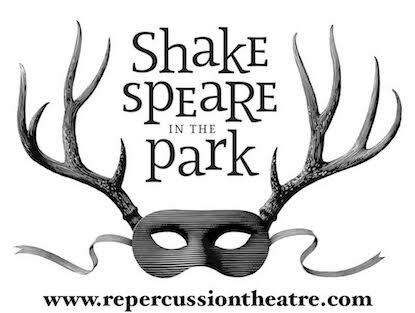 To apply for this workshop, send a cover letter and CV to ad@repercussiontheatre.com by April 20th for the early Shakespeare’s Birthday rate of $150. Applications sent in after that may be subject to the regular rate of $225. For more information, email us at 411@repercussiontheatre.com or call us at 514-931-2644. Molto buono blog entry. Io assolutamente apprezzamento questo sito . Continuate così Grazie! An outstanding share! I’ve just forwarded this onto a friend who has been doing a little homework on this. And he actually bought me lunch simply because I found it for him… lol. So let me reword this…. Thanks for the meal!! But yeah, thanks for spending the time to talk about this subject here on your blog. http://destyy.com/wXQjJv You’ll be able to get rid of the cellulite in just 28 days. Youre so cool! I dont suppose Ive read anything such as this before. So nice to find somebody with some original ideas on this subject. realy thank you for starting this up. this amazing site is one area that is needed on the internet, someone after a little originality. useful project for bringing a new challenge to the internet! When I originally commented I clicked the -Notify me when new surveys are added- checkbox and after this whenever a comment is added I purchase four emails sticking with the same comment. Will there be any way you can remove me from that service? Thanks! Aw, this became a very good post. In idea I would like to put in writing similar to this additionally ? spending time and actual effort to generate a good article? what am i allowed to say? I procrastinate alot and by no means appear to go done. Aw, this became an extremely nice post. In idea I would like to make a note of such as this additionally ? spending time and actual effort to generate a excellent article? what can one say? I procrastinate alot and in no way apparently go done. I?d must seek advice from you here. Is not something Which i do! I quite like reading a blog post that will make people think. Also, many thanks for allowing me to comment! I?m impressed, I must say. Really rarely must i encounter a blog that?s both educative and entertaining, and without a doubt, you’ve got hit the nail on the head. Your idea is outstanding the problem is something that insufficient individuals are speaking intelligently about. I’m delighted which i stumbled across this inside my search for something relating to this. I?d must seek advice from you here. Which isn’t something I do! I quite like reading content that produce people think. Also, thank you for allowing me to comment! Youre so cool! I dont suppose Ive read anything similar to this before. So nice to discover somebody with a few original ideas on this subject. realy thank you for starting this up. this site is something that’s needed on the internet, someone with a little originality. useful task for bringing new things to the internet! Hello! I simply would like to provide a huge thumbs up for the great info you might have here about this post. I am returning to your blog for further soon. I’m often to blogging and i also really thank you for your content. The content actually peaks my interest. I am going to bookmark your website and looking for new information. Hi! Someone in my Facebook group shared this site with us so I came to take a look. I’m definitely enjoying the information. I’m bookmarking and will be tweeting this to my followers! Superb blog and excellent design. You have made some decent points there. I looked on the web to the issue and discovered most individuals will accompany with your website. fantastic submit, very informative. I wonder why the other specialists of this sector do not understand this. You should proceed your writing. I’m sure, you’ve a great readers’ base already! Can I simply just say what a relief to discover someone that really knows what they’re talking about online. You actually understand how to bring a problem to light and make it important. More people really need to check this out and understand this side of the story. I was surprised that you aren’t more popular because you definitely have the gift. My brother recommended I would possibly like this website. He used to be entirely right. This publish truly made my day. You can not consider simply how much time I had spent for this information! Thanks! I like what you guys are up too. This kind of clever work and reporting! Keep up the great works guys I’ve you guys to my personal blogroll. After I initially commented I clicked the -Notify me when new feedback are added- checkbox and now each time a comment is added I get four emails with the identical comment. Is there any approach you can take away me from that service? Thanks! We absolutely love your blog and find many of your post’s to be just what I’m looking for. can you offer guest writers to write content for you personally? I wouldn’t mind writing a post or elaborating on some of the subjects you write about here. Again, awesome web log! In this great pattern of things you actually receive an A+ for effort and hard work. Exactly where you actually lost me was first in your specifics. As they say, the devil is in the details… And it couldn’t be much more correct right here. Having said that, let me inform you just what exactly did give good results. The writing can be incredibly convincing which is probably why I am making an effort in order to comment. I do not make it a regular habit of doing that. Next, even though I can easily see a jumps in logic you come up with, I am not necessarily certain of exactly how you seem to connect your ideas which in turn make the actual conclusion. For now I will yield to your issue but hope in the near future you link the dots much better. Thanks for your post. One other thing is the fact that individual states in the United states of america have their own personal laws of which affect home owners, which makes it quite hard for the the legislature to come up with the latest set of rules concerning home foreclosure on people. The problem is that a state has own regulations which may have impact in an adverse manner on the subject of foreclosure policies. An interesting discussion is definitely worth comment. I do believe that you should write more about this issue, it may not be a taboo subject but typically people don’t discuss such issues. To the next! All the best!! When I originally commented I seem to have clicked on the -Notify me when new comments are added- checkbox and now every time a comment is added I recieve four emails with the same comment. Is there a way you can remove me from that service? Many thanks! to read articles or reviews, however this website gives feature based writing. your website in web explorer, could check this? at the internet the easiest factor to remember of. reviews and other stuff, is there any other site which provides these kinds of things in quality? I do love the manner in which you have framed this situation and it does indeed supply me personally some fodder for consideration. Nonetheless, because of what precisely I have witnessed, I simply wish when other feed-back pile on that individuals keep on point and don’t embark upon a tirade involving the news du jour. All the same, thank you for this outstanding point and whilst I do not necessarily go along with this in totality, I value the viewpoint. Archangel Uriel is our greatest source of motivation, and I think he motivated you to write this post, too. Hi there! Someone in my Myspace group shared this website with us so I came to check it out. I’m definitely loving the information. I’m book-marking and will be tweeting this to my followers! Terrific blog and brilliant style and design. My programmer is trying to persuade me to move to .net from PHP. I have always disliked the idea because of the costs. But he’s tryiong none the less. I’ve been using WordPress on a number of websites for about a year and am worried about switching to another platform. I have heard excellent things about blogengine.net. Is there a way I can transfer all my wordpress content into it? Any help would be greatly appreciated! Hey very nice site!! Man .. Excellent .. Amazing .. I’ll bookmark your website and take the feeds also…I am happy to find a lot of useful information here in the post, we need work out more techniques in this regard, thanks for sharing. . . . . . Cool info! Interesting advice over this website. It’s pretty worth enough for me. Personally, if all webmasters and bloggers made good content as you did, the Internet will be a lot more useful than ever before. I couldn’t refrain from commenting. I have been surfing online some time searching for such informations. I will also share it with a couple of associates interested in it. I’ve just marked this website. Done with the job done, I’ll find some live gay cams. Thank you very much! Greetings from Davie! I’d should test with you here. Which is not something I usually do! I take pleasure in studying a put up that can make individuals think. Also, thanks for permitting me to comment! Hiya, I’m really glad I’ve found this info. Today bloggers publish only about gossips and web and this is actually irritating. A good blog with interesting content, this is what I need. Thank you for keeping this web site, I will be visiting it. Do you do newsletters? Cant find it. I read this post fully regaarding the resemblance of newest and earlier technologies, it’s awesome article. Look forward to looking into yoir web page repeatedly. We stumbled over here from a different web page and thoughtt I should check thiings out. I like what I see soo now i’m following you. Look forward to exploring your webb page repeatedly. Every business needs to have a message page. or other stakeholders with your company when a contact request comes through. inside your startup dependant on what type of request the viewer selects. problem. This ‘s all super easy to create with all-in-one marketing platforms like HubSpot. iit may not be a taboo subject but generally people don’t talk about these issues. your information, but good topic. I must spend some time finding out much more oor figuring out more. Have you ever thought about ceating an e-book or guest authoring on other websites? you share some stories/information. I know myy audience wouod enjoy your work. I was more than happy to discover this website. I need to to thank you for your time just for this wonderful read!! I definitely savored every part of it and i also have you saved as a favorite to check out new things on your blog. Next time I read a blog, Hopefully it doesn’t fail me just as much as this particular one. After all, I know it was my choice to read through, nonetheless I actually believed you’d have something interesting to say. All I hear is a bunch of moaning about something you could fix if you weren’t too busy seeking attention.